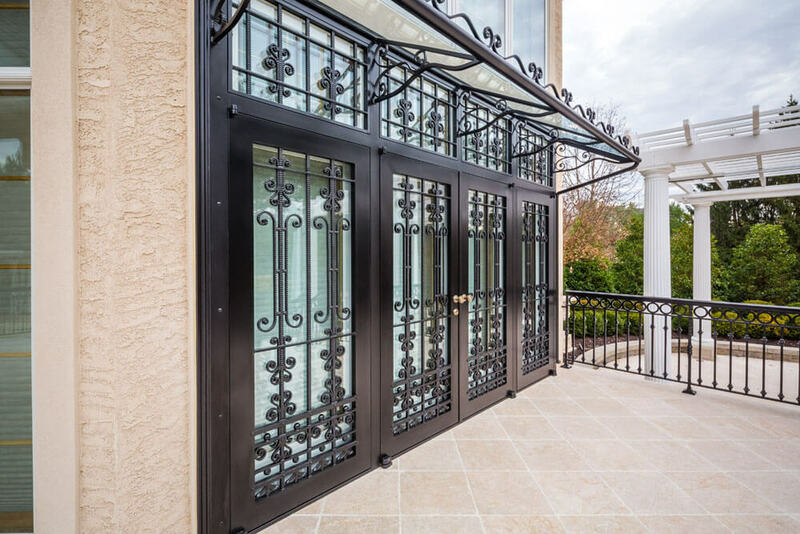 There was not one single segment of this Moorestown, New Jersey security door that was not a challenge, between the metallurgist husband to the designer wife, they asked for sample on EVERYTHING, including hinges and latch hardware, then they picked that apart and asked for improvements. It all started out easy enough, a past client asked us to build 12 doors for back terraces and his pool house to match the simple ones on the front door. 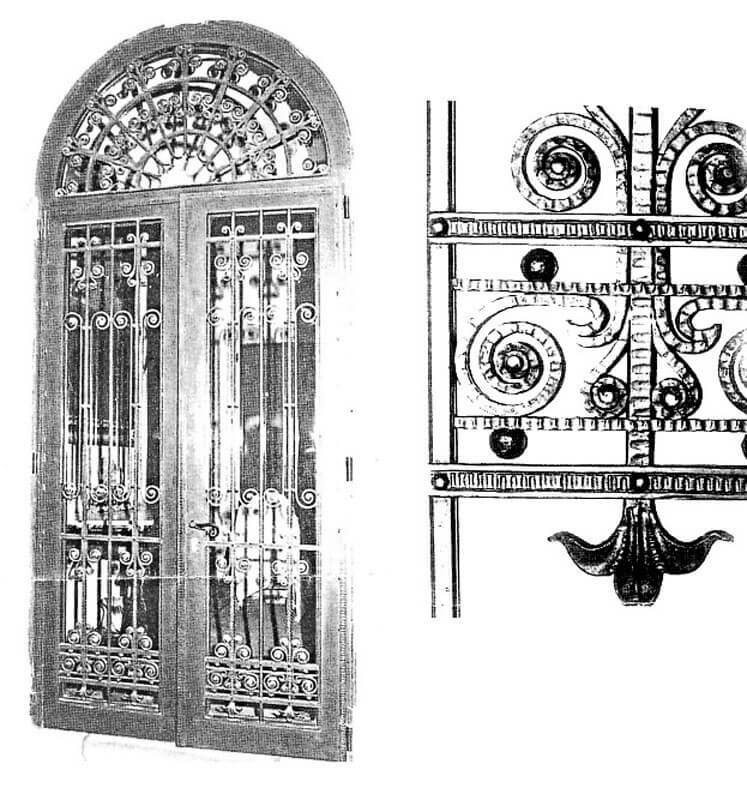 We agreed, even though we had never built doors before, but then they found an Italian design from 1742. We figured out a texture style for them, then scroll style, finials, half spheres, and rivets. The frames had to be custom extruded to meet their demands of recessed glass frame. We had planned on using standard hinges and latches, but they wanted to know all their options. We ended up going with custom stainless pivot hinges for the doors and custom invisible stainless hinges for the glass frames. They literally scrutinized every thread, every fastener and even the project is an hour from the shore, they demanded all finish and components to be Marine Grade. 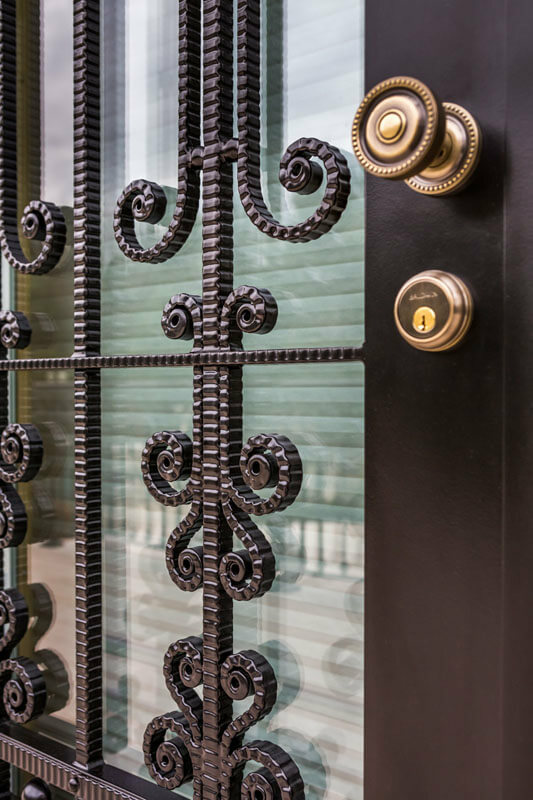 The Latch hardware was solid bronze, but we had to go back and forth on color and finish until they were satisfied. 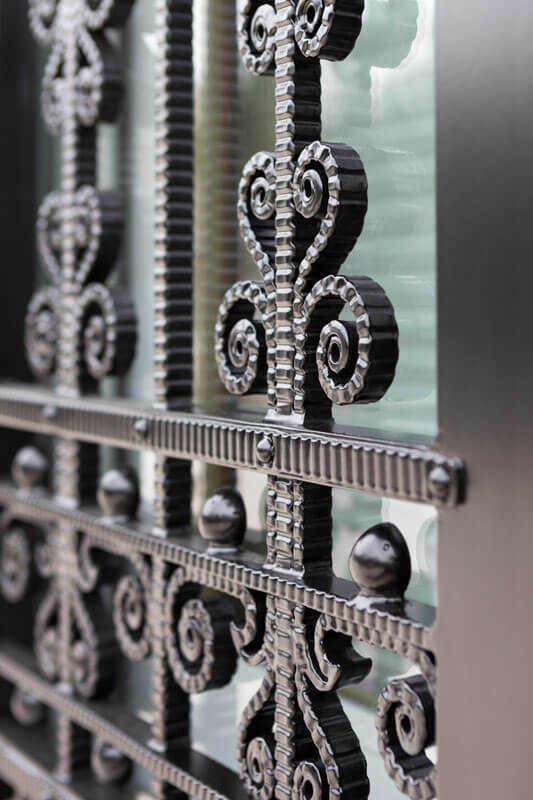 By the time we got to fabrication, we had a good idea of the level of perfection the client expected. We really took the extra time to weld and clean and sand every detail. We ended up having to install some doors 3 times until they didn’t have a little blemish, pinhole or sander mark that the client could find. For instance, the client wanted these latches corrected, if you look closely, the knob on the right is slightly lower. What started as a 5 month project became a 19 month endeavor to complete the 12 doors, plus the 2 more he added for his garage after the first were installed. 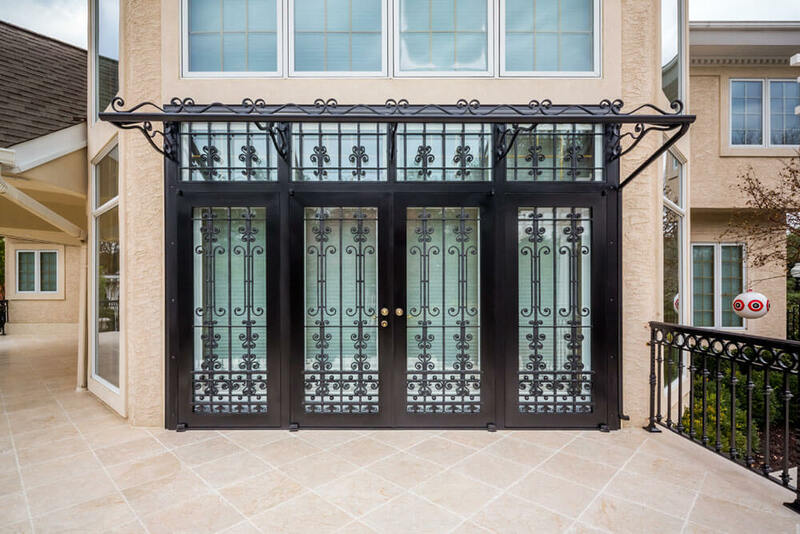 These doors will provide the client peace of mind through sensational yet resolute security against intruders and burglars in their upscale New Jersey Home. The best part was that our competitors / peers awarded us the Mitch Heitler Excellence in craftsmanship award for this project. This is the highest award achievable globally in the industry.